- Build industry partnerships for the deployement of the patented technology outside the alkyd emulsion market. We work hard to create products for paint and coatings that are the best they can be in every way. Products, that are innovating, easy to use, and highly performing. And the same passion for innovation goes into how we think about environmental responsibility. We know CO2 ranks among the most important greenhouse gases that influence the way the climate is changing. It's a real problem. As an architectural coating producer, we know we use energy and material, which in turn generates greenhouse gas emissions. That's part of the problem we can help solve, by finding less energy consuming production process, using bio-based raw materials for waterborne coatings for instance. In 2012, we evaluated the greenhouse gas emissions caused by our business activities, to have an overview of where and how we can adopt suitable measures. 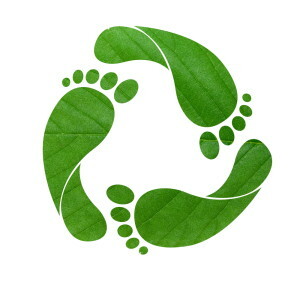 For more information, please have a look at the Ecoat C02 Footprint resume. Around experienced executives coming from the coatings world, a team of highly skilled research engineers focuses on developing environmental friendly solutions for new bio sourced markets in Paints and Coatings Industry. Our aim is to best serve customer's innovation needs, from R&D stage to production, with a constant focus on efficiency, economy and environmental responsibility. Olivier holds a Master of Chemical Engineering from CPE, Lyon and a Master of Business Administration from ESSEC, Paris. He has 15 Years of international experience in production, marketing and business functions. Ex-Commercial Director of Paint and Coating Materials Division for Europe, Middle East and Africa regions at Dow/Rohm and Haas Company. Nicolas holds a master degree in Chemistry at the University of Metz. He has 19 years experience in sales management, international key account management, Business Development and Global Strategy. David holds a Master of Chemical Engineering from CPE, Lyon. He has 25 years of international experience in manufacturing operations, data processing, automation and more globaly project management and engineering. In his previous experience within Saint-Gobain group, he managed 5 factories and implemented succefully strategic programs. David is actually managing Ecoat's factory located on the Plateforme Chimique de Roussillon, Lyon. Elina holds a Master of Chemistry from CPE Lyon and a Master of Environmental Sciences from the University of Charleston, USA. After 4 years of managing R&D Emulsification projects, Elina moved to an Operational position inside Ecoat. Olivier holds a PhD degree of Chemistry from Nice, Sophia-Antipolis University in Nice and a Chemical Engineering degree from ENSCM Montpellier. During 4 years, Olivier was managing Ecoat's R&D. He recently started an Executive MBA at EDHEC and moved to strategy and Innovation position. Henry holds a Bachelor degree of Chemical Engineering in Zhejiang University in 1991. After three years graduation, Henry started working for European and American chemical companies, focusing on environmental friendly binders and additives for coatings and printing inks, as well as adhesives. Henry has nearly 15 years in managing experiences and global marketing leading position for specialty chemical companies. Now Henry is taking care of Ecoat business in Asia, starting from China. Ibrahima holds a phD degree of polymer chemistry/organic chemistry from the Paris-Saclay University. He has 5 years experience from ENSCM and Colas company in design and polymer's formulation as well as project mamagement . He is now in charge of Ecoat's R&D in Grasse. Alison holds a PhD of Chemistry from University of Lyon and ITECH School and a Chemical Engineering degree from CPE Lyon, France. She is in charge of the Application Laboratory in Grasse. Caroline holds a Master degree in Sustainable Development from Skema Business School, Sophia-Antipolis - France and an Engineering degree in Agriculture from Institut Polytechnique Beauvais - France. Caroline has 10 years of experience as a Manager in Purchasing and Marketing positions for retail. She has a China market experience. In March 2012 Ecoat receives Agence Nationale de la Recherche (ANR) funding for the research program CDII "ECOM": Self-crosslinking, drier free green alkyd resin with high gloss transition temperature. 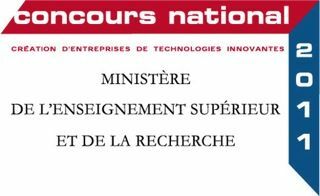 In July 2012 Ecoat receives an Award from the French Research Ministry and OSEO for the "Concours National pour l'aide à la Création d'Entreprises Innovantes in "Creation-Developement" category.